Sometimes you have to start at the basics. I did a little SEO audit with CVS. First did a little digging on what the news was covering as it relates to CVS. Here’s a recent headline: “CVS to buy 1,600 drugstores from Target” (Thomas, Bray, Tabuchi, 2015). The article goes on to mention pharmacy. I was quite surprised and slightly disappointed in the results. “Drugstore” is bought out almost exclusively by drugstore.com. It was more than three quarters of the way down the page before you see CVS and it was tied to “photo”. On mobile, CVS didn’t even show up. 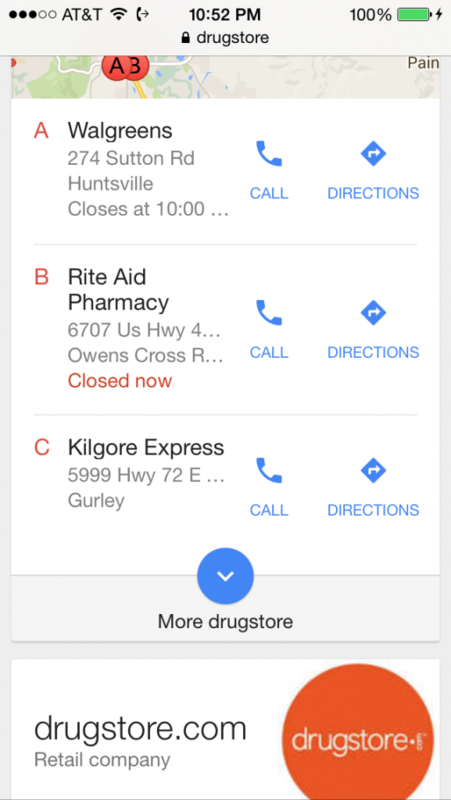 When searching “pharmacy,” CVS fared somewhat better, particularly on mobile, where they featured their online site. From a desktop perspective, it ironically brought up CVS photo. With the rise of mobile, one might say CVS is wise to focus their efforts there. If you look at the graph below, one word search is hugely competitive but two word search, e.g “photo print”, isn’t. 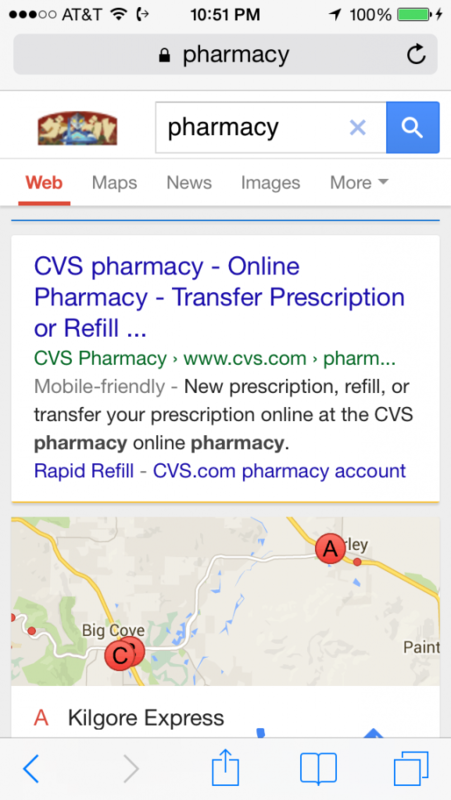 There might be some ways that CVS could improve SEO by leveraging alternate search terms. Finally, CVS should be focused on words that drive profit, and the only way to know that is by leveraging the data. What words would you have searched? Thomas, K., Bray, C. Tabuchi, H. (2015, June 15). CVS to buy 1,600 Drugstores from Target for $1.9 billion. The New York Times. Retrieved from http://www.nytimes.com/2015/06/16/business/dealbook/cvs-agrees-to-buy-targets-pharmacy-business-for-1-9-billion.html?_r=0. I am continually shocked by the fact that so many big brands seem to know so little about the importance of selecting the proper search keywords. I did my weekly post about Nike last week, and they were not optimized for athletic shoes or athletic wear. Even though it is more costly, brands such as these should strongly consider the use of more generic, category descriptor keywords in their SEO efforts. SEO is not really in my area of expertise (yet), but I know just enough to be dangerous. My question to you , and others, is do you think huge companies with massive name recognition need generic search words to enhance organic search? Or are companies like CVS and Nike usually already known entities that are found via direct search? Nike – has great brand recognition for shoes and clothes. What about sunglasses, wearables or something new? If they the are trying to increase sales in one specific area or launch a new product SEO would be important, at least in my opinion. CVS – might in the same position for prescriptions, perhaps your insurance only allows you to use CVS. However they are competing on a much higher level with the local grocery store, shutterfly for photo printing. If they are trying to raise awareness and sell milk for example than I definitely think they will have to continue with their SEO efforts. As I’m writing this I also think about locating the closest CVS, if I had to prioritize only one aspect of search that might be it.